The rise in wood pellet consumption has resulted in a wider variety of raw materials for pellet manufacturing. 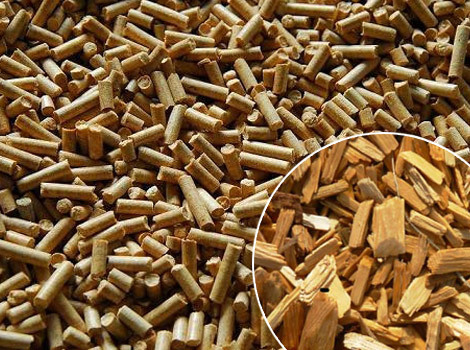 Thus, pellet industry has started looking for alternative products, such as biomass wastes from agricultural activities, forestry and related industries, along with the combination thereof, obtaining a broad range of the sources. In addition, the wood pellet market is possible for both industry and household purposes. Most pellets today are made from sawdust and other wood waste. The demand for pellets has exceeded the amount of wood and agricultural waste available, and dedicated energy crops such as Giant King Grass are strong alternatives. Giant King Grass, also known as elephant grass, king grass or bana grass, is a kind of fast growing, high yield hybrid grass. It is mainly planted in tropical and subtropical regions with more than 100 days of sunshine per year, and more than 32 inches (800mm) of rain per year. It is a very versatile species that can be grown under a wide range of conditions and systems: dry or wet conditions, smallholder or larger scale agriculture. It does not compete with food crops. Giant King Grass is mainly growing in the United States, Virgin Islands, China, Pakistan, Thailand, Myanmar and South Africa etc. Giant king grass is perennial and can be harvested 2-3 times per year. It is a short rotation crop, and it is harvested for pellet at 13-16 feet tall (4-5 m) every 150-180 days. In a tropical area with a 12-month growing season, it can produce a year-round supply at 167 tons per acre, which is much higher than other grasses. The high growth rate makes the Giant King Grass provide a continual supply of biomass year-round. The energy content of Giant King Grass is excellent at 7,900 BTU per bone dry pound (4,400 kcal per kilogram or 18.4 MJ per kilogram), very similar properties as corn stover (7,650 BTU). 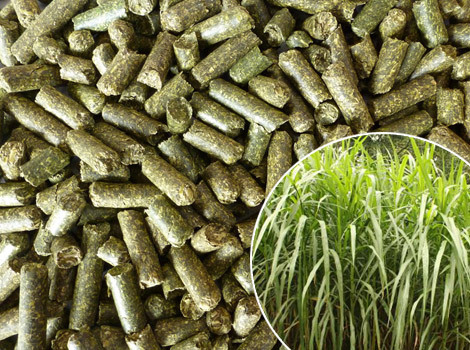 According to the analysis above, we find that the component of giant king grass is similar with that of corn stover and miscanthus in composition, which are the excellent biomass materials for fuel pellet production. As a high yield plant, giant king grass is undoubtedly a good resource of biomass raw materials for fuel pellet production. How to Produce the Giant King Grass Pellets? Generally speaking, in order to get the fuel pellets from freshly harvested giant king grass, a series of procedures must be closely followed. 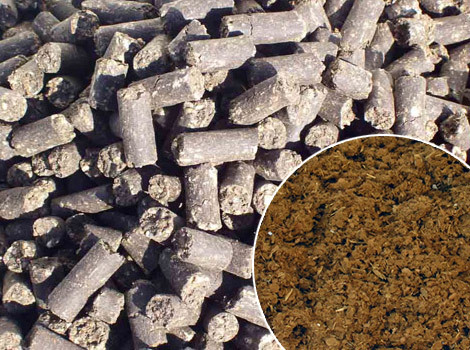 The whole production process of giant king grass pellet include raw materials crushing, drying, pelletizing, cooling and packing. Crushing: The giant king grass for making fuel pellet is 3-5m in height, so it must be crushed first. The grass needs to be crushed into small pieces with the size smaller than the hole diameter of the pellet mill die. Our hammer mill is no doubt a nice choice. Drying: When pelletizing, the moisture really plays an important role. Too high or too low can affect the final pellet quality. The moisture of freshly harvest grass is approximately 70-75%, which needs to be lowered to around 10% by sun drying or the rotary drum dryer. Pelletizing: As the core procedure of fuel pellet production, pelletizing directly influence the pellet quality. We have both flat die pellet machine and ring die pellet machine for your selection. Cooling: Newly pressed pellets are hot and soft, which need to be cooled down to ensure the hardness and durability. Packing: After cooling, the pellets can be packed according to your requirement. * Made from Giant King Grass, 100% renewable resource. * High yield Giant King Grass makes the pellet low cost. * High density makes the transportation and storage more convenient. * Low carbon, 20% of carbon emissions are reduced. Coal has the largest carbon dioxide emissions per unit energy of all fossil fuels, and coal-fired power plants are a major source of man-made carbon dioxide emissions. 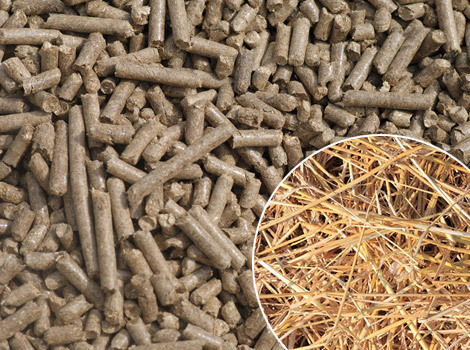 The energy content of Giant King Grass pellets is found to be 18.6 MJ/kg on a dry basis, which is equivalent to 8,000 BTU per pound or 4,450 kcal per kilogram in alternative units. The pellets themselves have a lower heating value (LHV) of 15.6 MJ/kg at the 8% moisture level of the pellets. 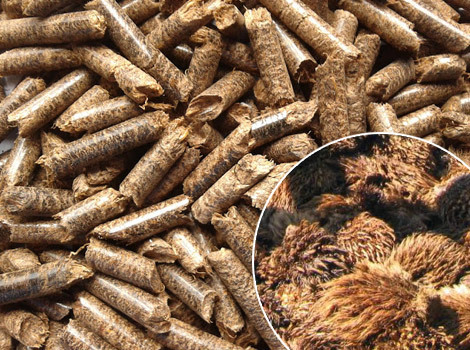 According to the U.S. Department of Energy, pellets made from Giant King Grass and other biomass can potentially replace up to 20% of the coal in existing coal-fired power plants, which reduce carbon emissions by 20% while preserving the large capital investment. Wood pellets are the best alternative to coal, but supply is limited. Giant King Grass pellets will be the lowest cost because of its extremely high yield, year round production and meets the cost targets of green energy. * Direct combustion as a replacement for coal or oil in electric power/heat/steam plant. * Applied for co-firing with coal in electric power plants to reduce the carbon emissions. – Korea, China, Japan are emerging.